The Baltic Festival of Science is an event whose aim is to popularize science. It is co-organized by the universities of the Pomeranian Voivodeship, the Institutes within the Polish Academy of Sciences and non-university scientific societies. Medical University of Gdańsk is an organizer since the beginning of the Festival in 2002. The Festival is addressed to a wide audience, regardless of age or educational achievement. Primary school students participate in the events side-by-side with students of the University of the Third Age. The aims of the Festival are to familiarize the society with the topics and achievements of scientific research taking place in the Pomeranian region and to do so in an understandable and attractive manner that encourages curiosity about the world and the joy of learning about it. The Organizers are also taking the opportunity to remind the visitors about the usefulness and practical application of the research in our daily lives. 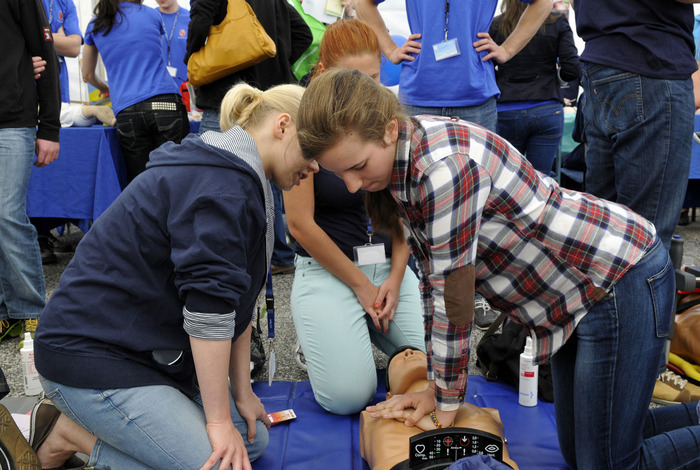 As part of the Festival, the Medical University of Gdańsk organizes the Medical Science Day on its campus. It is a showcase of particularly interesting current issues in medicine as well as the research conducted by various MUG Departments.